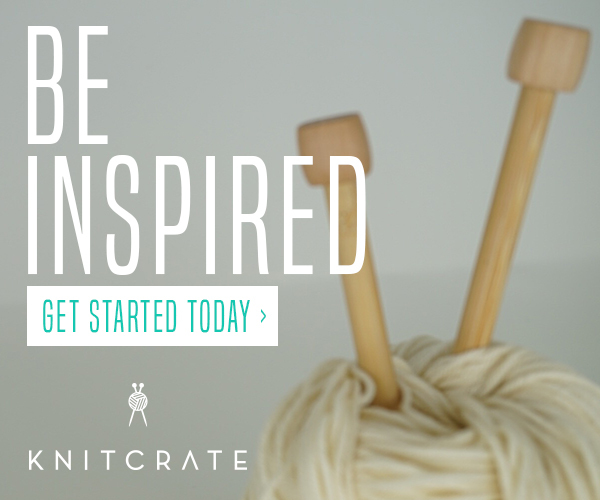 Close your eyes and imagine this: Your handmade business is moving right along. You’re making sales, packing orders, life is sweet. Then you get a call about the opportunity of a lifetime – a boutique across the county wants to carry your product or a major craft show wants to know more about you. So, where will you send them? Reason #1 – Define Your Brand. Websites are a blank canvas waiting to tell the world who you are. If you have a clear brand strategy (colors, fonts, logos, images, etc. ), going to your website should be like opening the door to your storefront for a customer. Determining the look and feel of your website will be the first step to helping visitors fall in love with you and your product. Reason #2 – Engage and Direct Your Visitors. Let’s say you put a link to your Etsy site on Instagram. The implied call-to-action is to have them buy something, right? But what if you want them to do something else, like subscribe to your email list or RSVP to an event? Having your own website lets you drop breadcrumbs for your visitors to lead them where you want them to go. You have the power to create buttons and graphics on your site that make your media easily accessible to your customer. Reason #3 – Make A Good Impression. Unless I’m mistaken, you’re interested in getting more than just retail customers through your virtual doors, right? Building a clean, beautiful website that is easy to navigate is immensely important if you want to attract store owners, sponsors, and the media. It says a lot about you, namely that you have it together and are ready for potential business relationships. Remember that boutique across the country that I mentioned before? A great website versus an Etsy page might be the difference between “absolutely” and “no, thank you”. Reason #4 – Give Yourself Room To Grow. Since I started by business 3 years ago, I’ve introduced new projects to the TL Yarn Crafts lineup. In addition to finished pieces, I now have a blog, I teach on and offline, I do craft shows, and I sell kits and patterns. It would be pretty tricky to communicate all of that from my Etsy page. Adding new pages and plugins to my website helped keep my message clear while still accommodating my growth. And that is not to say your have to grow beyond just selling your physical product. But a little breathing room doesn’t hurt. You never know what tomorrow brings. Reason #5 – Keep the Focus on YOU! As an online shopper, the “Other products you might like” section is super helpful. But as a seller, it makes me cringe. Why go through the effort of guiding a customer to your sales page only to have that very same sales page take them somewhere else?? *queue the face-palm* The main reason to have your own website is to keep the focus on YOU and whatever message you decide to deliver. Carve out your corner of the internet and plant your flag! Once you’ve committed to launching your own website, it’s time to do a bit of research on what resource is the best fit for you. Pattern by Etsy is great for Etsy sellers whose main concentration is sales. Shopify, Big Cartel, and Wix give you a bit more wiggle room, adding in features that feel like a traditional website. But if you want to go big or go home, Wordpress is the way to go. Whatever you choose, a stand-alone website can be a game changer for your handmade business. Toni Lipsey is the Owner and Designer behind TL Yarn Crafts, an Ohio based fiber arts studio for the modern cool girl. Find her collection of crochet accessories, patterns and maker gifts online, and follow her tomfooleries on Instagram. Pattern by Etsy: Is It Really Your Own Website? You may have heard, either by news article, blog or an email from Etsy, that Etsy has launched a new Web Service: Pattern By Etsy and are rolling it out this week. Here is a link to the Etsy blog launching the service and the Entrepreneur post. On second thought, nah.. let me just lay it out for you. I am finding more bad than good here. Let's start with the name: Pattern by Etsy. Who thought of this malarkey? I mean really? In my first 24 hours using the service and reaching out to their customer support there was instant confusion, more than once. You see, I (like many many others) sell my original patterns on Etsy. So their support thought I was having an issue with a Pattern transaction. You can imagine how frustrating it gets spending the first group of emails trying to get them to understand I am talking about their feature not my patterns. Even when my email to support said "I am having trouble with the new website program Pattern by Etsy"... they still came back with instructions on how to download a digital pattern. No kidding. Pattern by Etsy is slick. It is glossy and pretty and easy to use. The set up process is a matter of a few clicks. Because it is a mask of all the data Etsy already has in your Etsy shop, there is no import. The items are linked on the back end. You can select from a few Theme Templates and each allows a bit of customization. The customization is quite limited though. You cannot "add pages" or really customize the type of content on your site too far away from what is already in your Etsy shop. The initial content from your Etsy shop comes over and you can edit as needed but again, within the parameters of what Etsy already allows. But it is easy to use and setting up the entire website took a matter of minutes. At first glance, Pattern by Etsy has all the trappings to entice crafters, hobbyist and small business owners already using Etsy. But hold on... it also has limitations and constraints that make me tilt my eyes, smirk and shake my head. Going beyond the fact that Etsy takes 48-72 hours for your site to go live (which baffles me being that they are in fact a tech company) let's talk about the nitty gritty. Pattern by Etsy is designed to keep you within the Etsy vortex. Similar to how Etsy itself works, Pattern by Etsy will not let you link to an outside site. For example, on the “About” page, I wanted to link to my standalone site www.144stitches.com. The link would not go live forcing customers or site visitors to see the text but not have a clickable link. They would have to “copy & paste” the text into their browser to get to my site. But If I put the link to my other Etsy shop, www.144stitches.etsy.com then the link is live. So you see, it is not actually "my website" as I am still playing by Etsy rules keeping the consumer and me, the vendor and in this case site owner within the Etsy vortex. Additionally, Checkout is still run through the Etsy check out system. So customers are still not buying from “you” but are re-routed back to Etsy. This means if they do not have an Etsy account, they will be required to create one. You work hard, marketing your shop and promoting your work. You spend lots of man hours developing your brand and driving traffic to your new website. In fact, you spend the extra $16 per year Pattern by Etsy charges for your very own domain so you are not using the “patternbyetsy.com” extension to further drive traffic directly to your site and create brand name recognition. But, in compliance with Etsy TOU, you are NOT allowed to collect emails of your customers or market to them once they have made a purchase. You see Etsy views them as "their" customers and only Etsy is allowed to use their email for marketing purposes. So now you have your stand alone site doing Etsy’s legwork… not your own. Your brand is now linked to Etsy on a deeper level and all the work you do to get traffic and customers to your site is wasted as you cannot grow them into returning customers. Yes, you are paying for the privelege of doing Etsy's marketing. 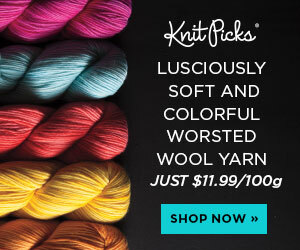 Pattern by Etsy promotes Unlimited listings and that you do not have to pay a “listing fee” to add items. But you have to pay $15 per month and still have the listing fees due Etsy any time you add an item. And since you can ONLY add items by adding them to your Etsy shop there is no way around that fee even if you plan to drive traffic only to your new Pattern by Etsy website. So now you are paying the $15 monthly fee, $16 annual fee for your domain and your Etsy listing fees of $0.20 per item and Etsy takes a 3.5% transaction fee per sale. These fees add up quick. Seriously do the math. and you have to still follow the Etsy TOU though you technically have your "own" website. One last nail in the Pattern by Etsy coffin is the fact that if you have multiple Etsy shops (as I do) then you must create multiple Pattern by Etsy websites. Yup... they STILL will not allow a single account to operate multiple shops. So in my case, where I have 3 Etsy shops, take all those fees I just mentioned above and multiply it by three. Not to mention I would need 3 separate domains, 3 separate marketing plans, etc. I mean what a confusing headache! You are not helpless and if you want your own website and domain go get it! But be responsible and check all the options. If you have big Etsy inventory and are attracted to the fact that Pattern by Etsy integrates your Etsy inventory, maybe you will consider IndieMade or SupaDupa or SquareSpace. Each allows you to import your Etsy products and I know IndieMade syncs as you sell. And if you have multiple Etsy shops as mentioned above, you can import from multiple shops. Come on... no brainer! I am a huge fan of these platforms and if you do the math you get way more bang for your buck and have true site ownership and control of your brand! IndieMade, Supadupa & SquareSpace allow you to add pages and truly control your content as well as customize any of the free templates they provide. You can create a blog to share news and updates if you want. Pattern by Etsy simply allows you to link to an offsite blog, as long as you don't sell anything there because that would technically violate Etsy TOU. Personally I use Squarespace, though I have used both IndieMade & SupaDupa in the past. For my needs, Squarespace is working great. On my current standalone sites (I have 2) I can list whatever I want (or not). My monthly fee includes listings, data storage, email and whatnot. Bottom line is that there are tons of options if you are ready to take the leap, have your own website and begin building your brand beyond having an Etsy shop. I just think anyone considering Pattern by Etsy should take a beat and do the math and decide if it is really right for them. And I think that Etsy needs to find a way to reconnect with the Artisans who helped get it where it is. Are you using Pattern by Etsy? Are you considering it? I am interested in your thoughts so please join the conversation in comments below. When I contacted Etsy to cancel my "free trial" within the 30 day period, I was informed that it would take SIXTY (60) days for me to get "ownership" of my domain, that I purchased through the sign up for Pattern by Etsy so not to use the "patternbyetsy" extension. I was baffled because didn't I "own" it when I paid for it? Nope. Etsy does. And because of ICANN restrictions, they cannot transfer for 60 days. With only a 30 day free trial, that forces me to at least pay for a month to be able to use the domain I purchased and is unacceptable. I then asked, well could they at least forward the domain to my Etsy shop while I wait out the 60 days? Nope, they said they cannot because of the same ICANN rule. This is odd - especially since on GoDaddy, or anywhere else, I can pretty much forward a domain straight away. In the end, their support apologized and extended my "free trial" to the full 60 day period. The problem is that for those 60 days, they are killing my google rankings because it appears as duplicate content as mentioned above. Thankfully I did not test Pattern by Etsy with either of my two main shops. But I will still feel the pinch.